After months of waiting, beta tests, and trickles of information about new features, the next major update for Windows 10 will arrive on April 11. Microsoft announced Wednesday that the Creators Update, as it’s known, will start rolling out to users of the company’s latest operating system in roughly two weeks. The update includes a slew of new features, including changes to the Microsoft Edge browser, improvements to gaming on Windows 10 and more features for devices with touch screens. As the name implies, the Creators Update includes new tools for people who make and consume media on their PCs, including a new Paint3D app that updates Microsoft’s classic drawing tool to create three-dimensional models. When it’s released, the Creators Update will be Microsoft’s second major update for Windows 10, which was released in July 2015. It’s important to note that April 11 is just the start of the Creators Update rollout. Microsoft makes the update available to different users at different times, and will withhold the update from people if the company is unsure that it will work with their hardware. 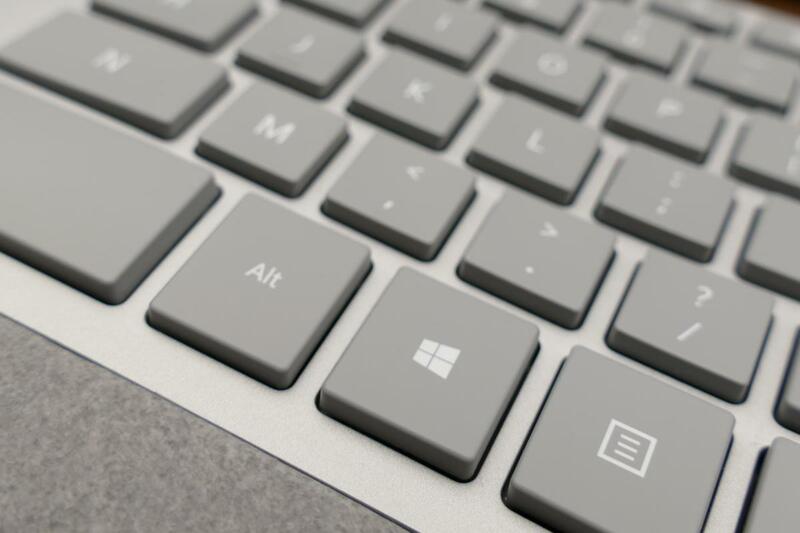 Unlike past major feature updates, Windows 10 users will also have greater control over when the update is applied. Users will be able to schedule a specific time for the update to be applied, and “snooze” the update for as many as three days when they need to use their computers without going through a massive patching process. Microsoft has also expanded a device’s possible “active hours,” so the updates don’t try to install themselves when users are still working. The internet is littered with user reports of updates that arrived at inopportune times, shutting users’ computers down while they were still in use. These changes are supposed to help alleviate some of those complaints. The changes users are most likely to notice have to do with Microsoft’s Edge browser. New functionality will let users open up a tab preview bar that will show them thumbnail images of the content on each tab they have open, so it’s easier to remember what they were looking for. A screenshot shows the set aside tabs feature in Microsoft Edge. To help cut down on tab clutter, Microsoft will allow users to set tabs aside, then come back to the pages they were on at a later time. Setting tabs aside is meant to be used for pages that users don’t want to bookmark, but don’t need immediate access to. All of a user’s tabs will be stored in a list that’s sorted by when they were set aside. Clicking on tabs will return to those pages. Starting with the Creators Update, users will also see a new dialog box whenever they use the share button in an app built on the Universal Windows Platform such as Microsoft Edge. In the past, pressing the share button would bring in a sidebar that would allow users to send content to other people and applications. Now, that sidebar has been replaced by a floating box. Gamers have a few new features at their disposal, too. Microsoft introduced a new Game Mode that’s designed to help maintain consistent game performance when people are deep into a session. It works by relegating all of the applications that aren’t an active game to a subset of a computer’s processor cores. A screenshot shows the Windows 10 Creators Update's built-in support for streaming games using Microsoft's Beam service. In addition, the Creators Update will allow users to live stream the games that they’re playing to Beam, a service Microsoft acquired last year. It’s a competitor to Twitch (owned by Amazon) and YouTube (owned by Google). Unlike those other services, Beam streaming is baked into Microsoft’s operating system, so users don’t have to set up special software in order to start broadcasting their games. A rendering of the Acer Mixed Reality Developer Edition headset. There’s also an aspect of the Creators Update that isn’t useful for most people just yet: it has the software foundation necessary to support Windows Mixed Reality headsets. The Mixed Reality support that Microsoft introduced is designed to drive a variety of augmented and virtual reality headsets. Right now, that only works with the Acer Mixed Reality Development Edition VR headset, which Microsoft is keeping locked to a handpicked group of developers. However, consumers are supposed to get access to Windows Mixed Reality headsets around the holidays. Microsoft expects that its manufacturing partners will have headsets that are ready for the public by that point. This run-down only scratches the surface of the major features being introduced with the Creators Update.